Salmat’s 2018 Marketing Report compares consumers’ shopping habits with the perceptions and practices of marketers. 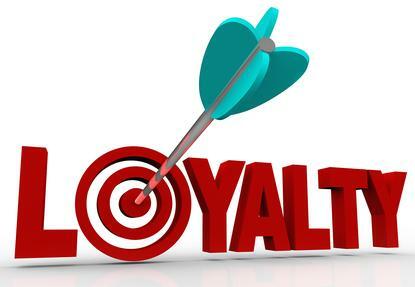 It found customer loyalty continues to be a challenge for marketers in Australia, and to maintain brand loyalty, marketers must focus on value and quality. The report reveals nearly one-fifth of Australians are loyal to only one or two specific brands and two in five consumers buy the products they need without taking much notice of the brand. The findings show consumers are increasingly price sensitive, meaning price is a bigger influencer of purchase decisions than brand loyalty. Sixty five per cent of respondents agreed they like to try new products if they're on sale, or if they receive a discount or points for purchasing. Following competitive pricing, consumers said quality of the products (80 per cent) and customer service (76 per cent) are the the most important brand attributes to maintain loyalty. Positive online reviews (61 per cent) and free trials, samples and discounts (48 per cent) were also rated as important factors for maintaining brand loyalty. “Winning customer loyalty is almost impossible to do today. Instead, the opportunity for marketers is to focus on ensuring they are getting the best price for their products in front of consumers via the right channel,” according to Salmat head of sales and client engagement, Andrew Lane. What's also stopping marketers from delivering on brand loyalty are technology challenges. Additionally, consumers demand personalised shopping experiences. Consumers reported they expect marketers to use the information they have on them to offer a more personalised and one-to-one experience. Half of respondents agreed the number one reason brands are collecting their personal information is to deliver relevant offers (51 per cent). However, marketers are struggling to deliver on this promise and develop long-term relationships with consumers. “When it comes to technology, marketers should focus on using the right tools to understand the vast amounts of data they are faced with,” Lane said. And while marketers are trying different tactics to encourage brand loyalty, Salmat’s research finds there’s a disconnect between what marketers are doing and what consumers find important. According to the research, marketers said they are focusing on creating loyalty through quality customer service (47 per cent), offering trust, respect and promise (45 per cent), and developing quality products (40 per cent). But the research shows that first and foremost, consumers look for good value for money and competitive pricing (85 per cent) before anything else.